Well here is something new! This has been a project in the back of my mind for some time, receiving signals from some of the far out spacecraft that we have sent up from Earth. Some of these spacecraft are now way too far out for me to receive but there are still some that are within reach. Reception is usually nothing more than receiving the pilot carrier from the transmitter, getting enough signal to noise for deciding the telemetry and data is just not going to happen without a very large antenna... way beyond my current 3.2m dish! The frequency of interest is 8.4GHz. The inspiration for getting to work on the project was passing by M0EYT's uhf-satcom site once again a few weeks back and finally deciding to have a go..
After gathering a few parts for this project over the last year or so i decided to put the system together, It consists of an Elcom Synthesiser, an unknown 8GHz receive converter from eBay and a home made LNA made from satellite LNB parts. 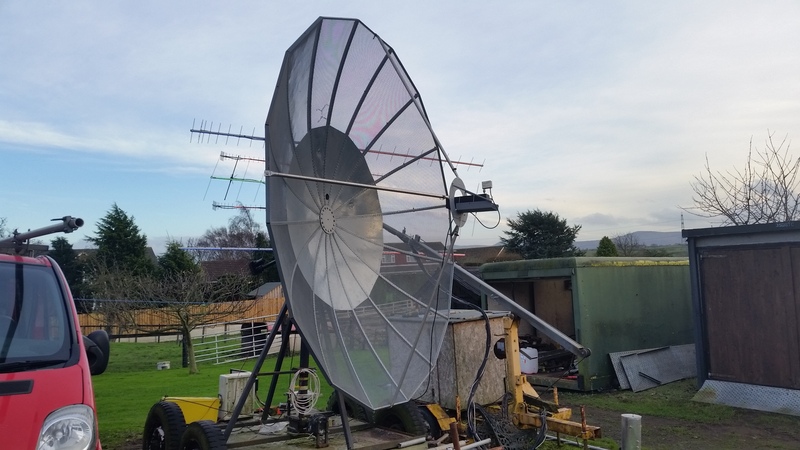 The dish initially for testing was a regular 80cm offset satellite dish. 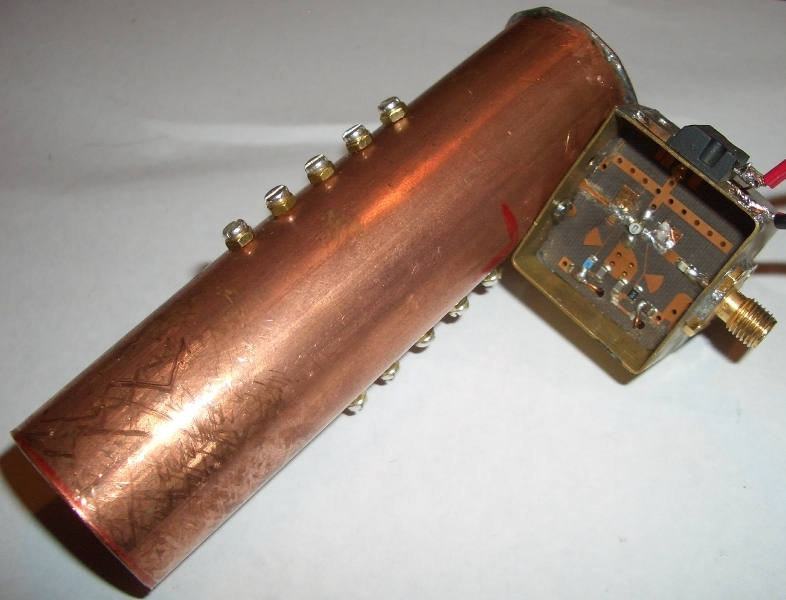 7-8.5GHz band converter (internally filtered) and Elcom synthesiser normally for 11.2-12GHz but re-tuned to 4/5 output on 9.352GHz - high side LO input at >+5dBm for best operation. 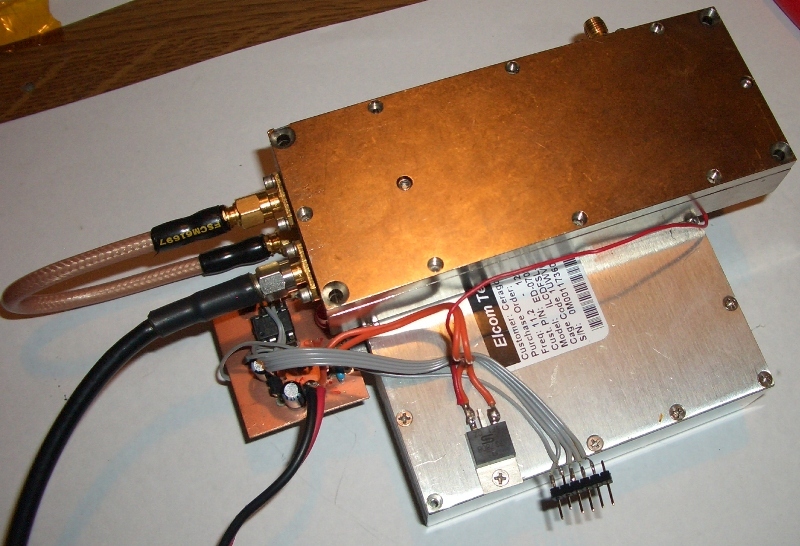 The LNA is attached directly to the VE4MA dual L/R circular polarity feed (F5PL design) for best performance. 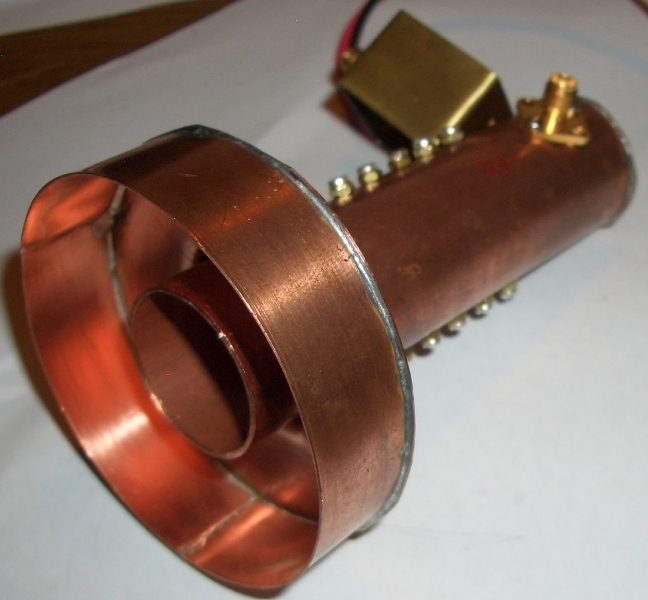 LNA is roughly 0.9dB NF/13dB gain. 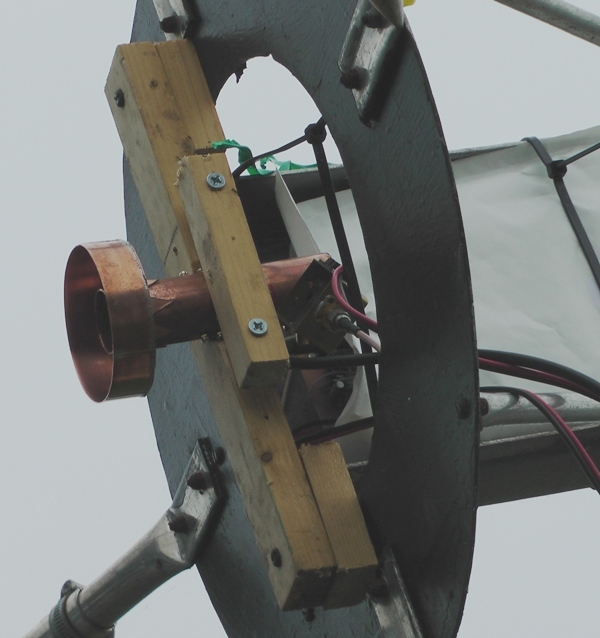 Also attched to the end of the feed is the choke ring which makes a huge difference to reception when optimised for the dish f/D radio. And the dish, nowhere near perfect for 8.4GHz! Current Sun noise measurements show around 9.5dB at SFI:70.. could be better! The the poor tolerances on the dish and the 6mm mesh does not help! Position feedback is with US Digital encoders which i have built a custom Arduino controller for. Tracking is done using ephemerides from JPL Horizons webiste.